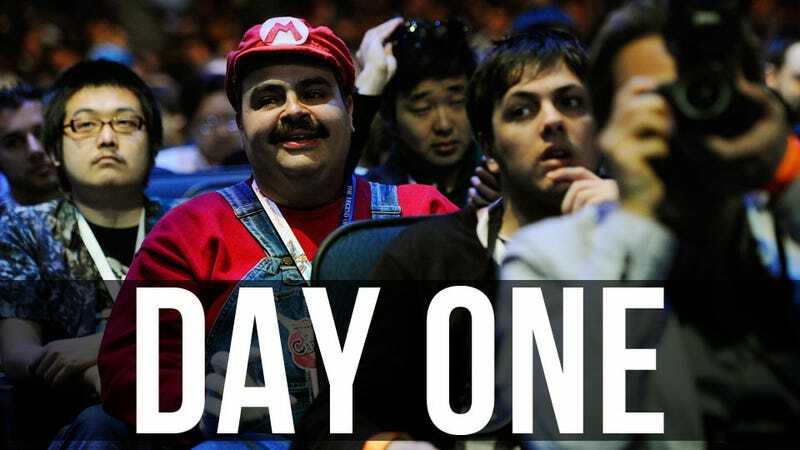 The first proper day of the 2011 Electronic Entertainment Expo was dominated by one thing: a new Wii console with a silly name. The unveiling of the Wii U was the first new home console we'd seen since 2006, so people were excited. If you want to see what the fuss was about (or just want to relive it all again), we've got you covered with a full wrap-up of the day's news, media and impressions. Without further ado, then, below you'll find everything you need to know from yesterday's E3 news. Click on any of these buttons and the blogroll (the section on the right) of the site will fill with all the relevant stories from yesterday's events.